@Cbear13 & @lisa17ann your homes are stunning and such creative feature walls/areas! 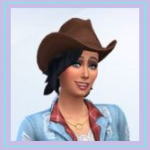 I am going to attempt part 2 of the practice challenge now! The furnishing of each of the rooms looks so very great! 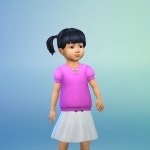 @lisa17ann There are so many creative and decorative ideas in each room! They all look very nice! The way you have placed the items on the walls in the rooms looks very nice! 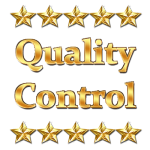 It was great and helpful reading your accompanying description for each room of what you did in the room and the items used. The eclipse patterns and wall lights on the side wall in the second bedroom looks great and very bedhead wall areas in both of the bedrooms! The stove counter in the kitchen looks very great! It looks very nice how you have done tv wall, and shelving alcove in the living room looks very nice! The feature walls look very great! 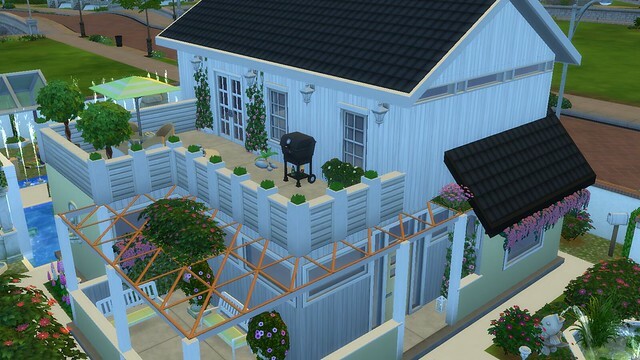 The outdoors areas of your build for the first practice challenge look very nice! @Liziann1 The hedging sections look nice lining the edges of the front pathway. 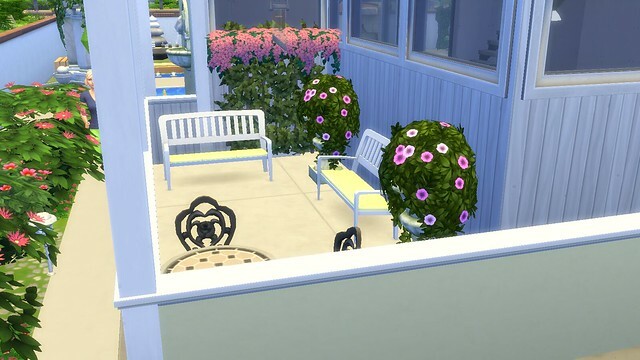 The flowers look very pretty in the front and side areas of the build! The natural pond area in the front corner of the build looks very nice! Very nice back patio! Nice hot tub corner nook. The hedging sections and sunflowers look nice on the edges of the tub. Sims will enioy relaxing in the tub. 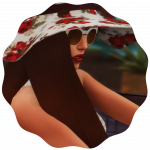 Sims will enjoy cooking meals on the BBQ and eating them at the umbrella covered table in the sunshine. The gardening boxes nook is great. Wowzers @lisa17ann That living room is stunning! 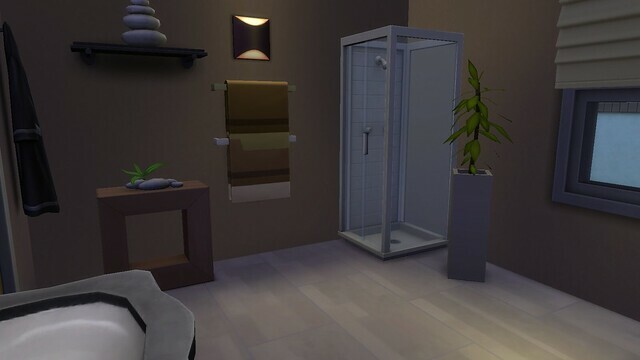 The furnishing of the rooms looks so very nice! @emere Very nice living room! The colour scheme looks nice. The grandfather clock looks nice in the corner of the room and the tea set is a nice touch on the coffee table. 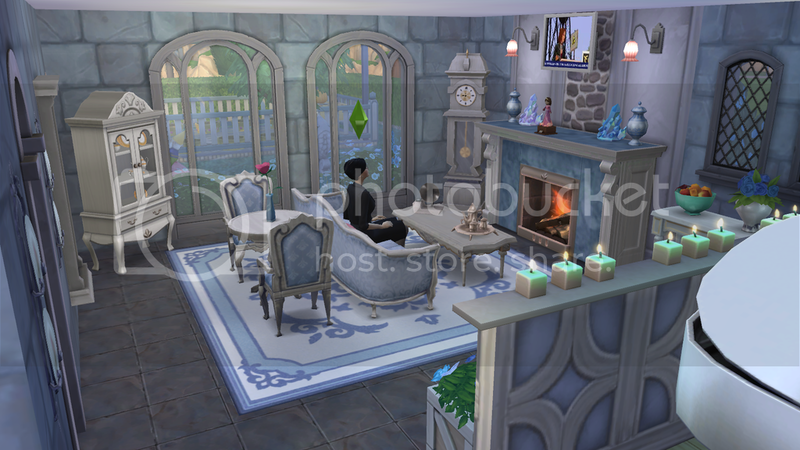 The crystals and vases look nice on the fireplace ledge. 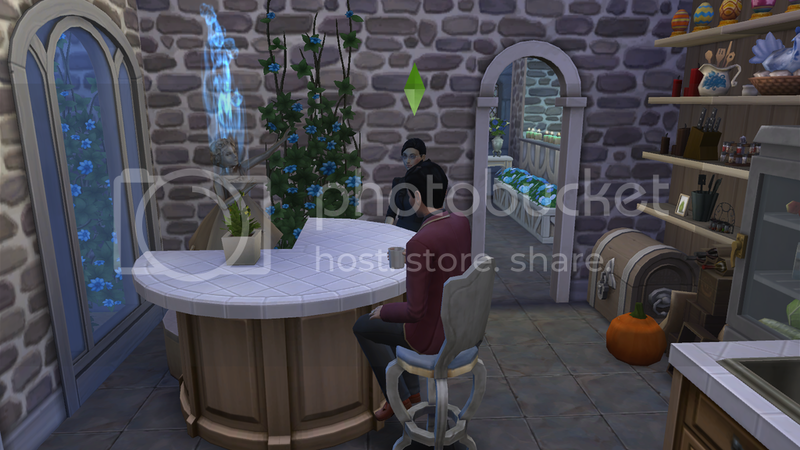 The flower on the table is nice for sims to see when sitting at the table. 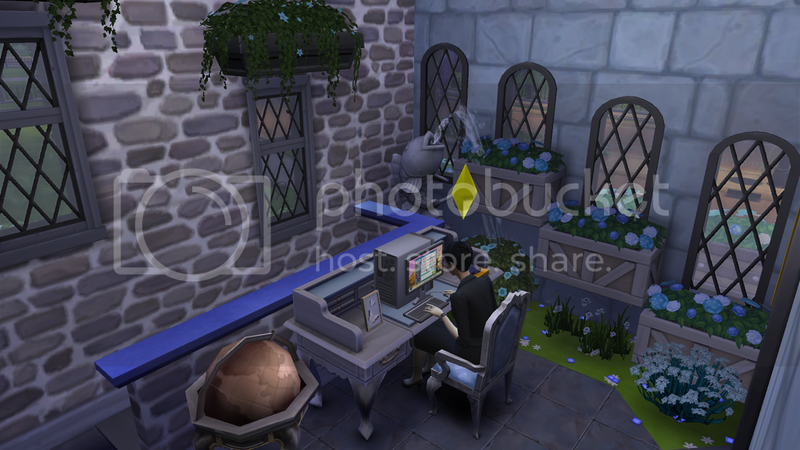 Sims will enjoy resting in front of the fire listeming to music from the gramophone or reading a book. Very nice music nook! It looks great how the half wall seperates off the areas. The candles look pretty on top of the wall. 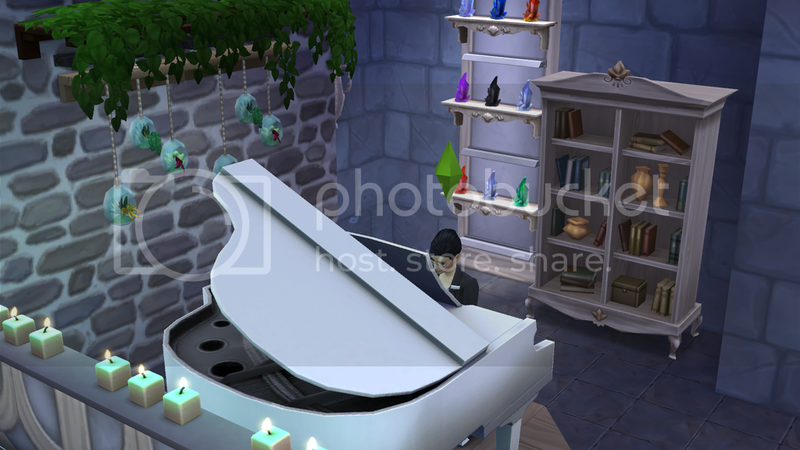 Sims will enjoy playing or listeming to the piano music being played. The plant wall decor and greenery on the side wall looks very nice! The crystals look nice on the wall shelves. Nice curved bar stool counter in the kitchen. The floral greenery looks very nice on the wall and ballerina sculpture looks great in the room. The items on the kitchen wall shelves look great! Very nice computer study desk area! The descending levels of flower box windows looks so very nice! The fish fountain looks great in the nook area. Very nice master bedroom! The bedhead wall looks very nice! The curtained portrait and greenery planter box looks nice there,and the floral greenery looks pretty either sides of the portrait. The flowers wall decor looks nice at different levels on the side wall. Nice wall textures that you have used in the rooms. The interiors look very nice! I've been play testing the house to make sure It all work until I accidentally click on save as instead of save and now It's not there It's like It disappear so I have to start again and I forgot how I done the kitchen Island which was a bit different to what I normally do so I'm trying to work that one out so I guess that's why it's called practice challenge so I keep on practicing on that kitchen Island. When you clicked on " save as" did you give the save game a new name? Try going to the main screen of the game. Press the load button ( the one with the floppy disk symbol) at the top right hand side of the screen, then see if the save game file is in the menu there. If it is, you can load the save game. Thanks @rosemow I never use the save as and didn't know you could change it to a new name and I have search on information on the the save file to go back in time but no luck on that so doesn't matter I started a new game so all I have to do is the interiors on It. And I might try and test that save as to see how It all works so I know for next time when that happens which I hope not. and thanks @rosemow. Hello @chips46 . The "save as " makes a copy of your save game file. You can give the "save as " copy a new name, then when you go to the load menu in the main screen of the game, you can choose which save game file to load. I am sorry that you have had to start a new save game and need to do your interior work again. 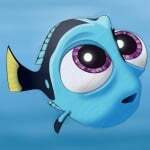 I hope that your work on the interior goes smoothly. 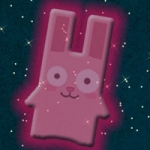 Thanks so much @Liziann1 @rosemow @OJenn and @Cbear13 for your kind comments! I love your interiors @emere its so charming. I particularly love the way the kitchen and bedroom looks! 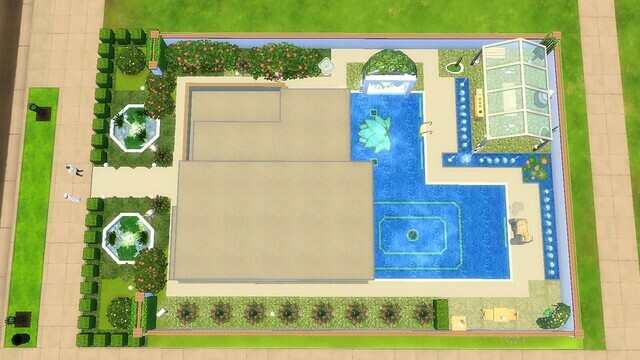 Great landscapong @Liziann1 I love how the pool is a major focal point and how creative it's been done! 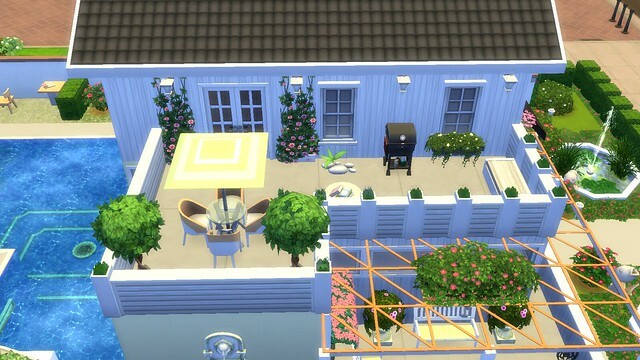 The exterior and outdoors areas of your build look very nice! @Liziann1 Very nice rooftop outdoors dining patio! 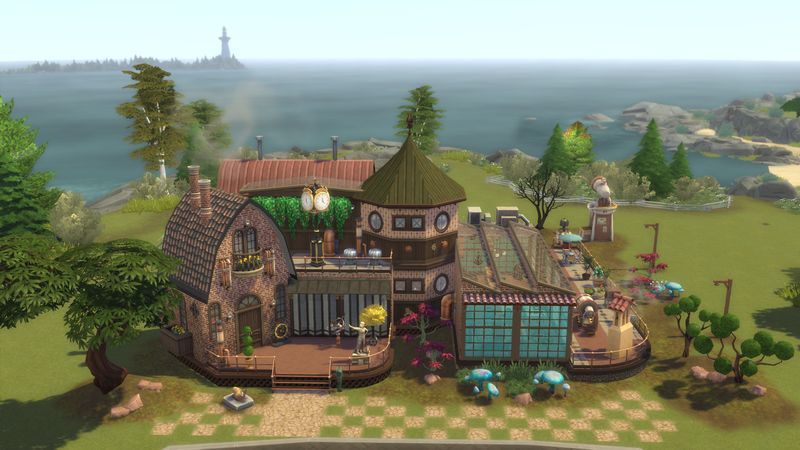 Sims will enjoy sitting at the umbrella covered table in the sunshine eating meals that they have cooked on the BBQ. The balcony fencing looks mode. The floral greenery looks pretty on the exterior wall. The lattice over the ground floor patio looks very nice! The greenery looks nice on top of the lattice. Nice seat benches sitting area there for sims to enjoy resting and chatting in the outdoors air. The flowers look pretty placed either sides of the seat bench. It is nice that there is a yoga area on the pool patio. The glass rooting over the top of the yoga area is very nice. The water fountains look very nice and are calming on the edge of the patio. 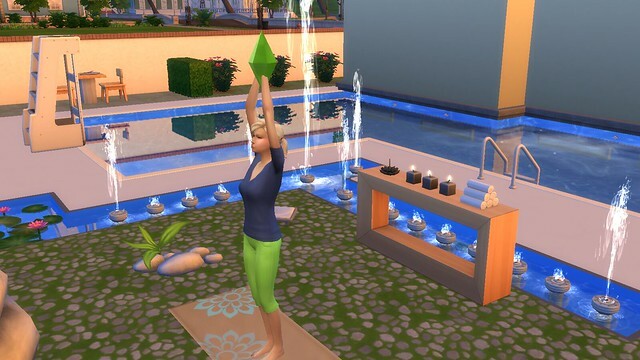 The candles are arena nice touch on the table for sims to see when doing yoga. The layout of the outdoors areas looks very nice! 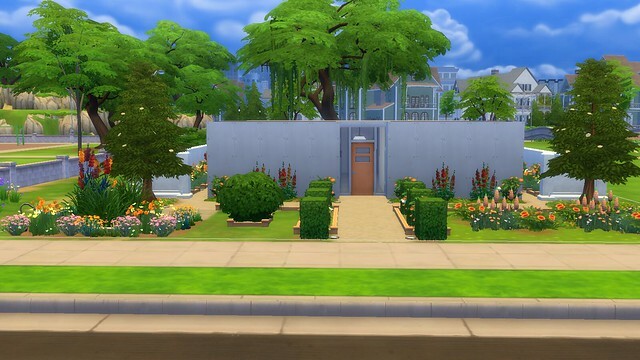 Awesome @liziann1 if you do older challenges you can just post the final house with it all complete if you like but I will give feedback on each part, either way is fine though. The interior rooms of the home look very nice! @Liziann1 Very nice design and furnishing of the kitchen! 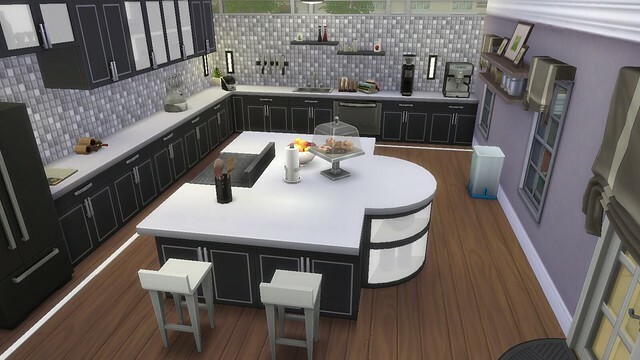 The design of the stove and bar stool counter looks very great! The kitchen wall tiling looks nice. The shelves look nice on the kitchen wall with the kitchen items and photos on them, and at different levels. The fruit bowl, cake display item, bottles, wall cutlery, dish rack, and cookbooks are nice kitchen touches in the room. Very nice master bedroom! The bedhead area looks very nice! It looks great yhe way you have bordered the area. The butterflies and lattice flowers look pretty there. The flowers on the bedside tables are nice for sims to see when laying in bed. The colour scheme of the room looks very nice. The interior rooms and the exterior of the home looks so very nice! @chips46 The kitchen is very nice! The way that you have designed the island kitchen sink bench looks so very nice! The kitchen items look great placed on the wall shelves! The design of the feature kitchen walls look very nice! The way you have placed the flower wall decor on the tree wall print to be the trunk looks great! The keys look nice either sides of the tree. The ascending pictures on the staircase wall look very effective! Very nice living room! The tv area looks very nice! The counters look great how they are placed there in a u shape, and the cars and fruit photos are a great touch on each side. The picture nook is very nice! The books are nice home touches there. Sims will enjoy sitting resting on the sofas and armchairs watching tv. The plants and ship on the coffee table add to the nice look of the room. Very nice master bedroom. The colour scheme is nice and the bedhead wall looks great! The curtains look nice placed either sides of the wall decor. Nice study and art room. The circles floor patterning is a nice touch under the study chair. The trophies look nice on the upper landing shelves, at different levels, with the perfect patio decor beside the shelves. Very nice exterior of the home! The greenery looks very nice placed on the exterior walls. The build is very nice!